It costs $200,000 for a full page advertisement in the Wall Street Journal, a page that is probably only looked at by the reader for no more than five seconds. But the buildings you sit in every day have an incredible amount of “advertising space” on walls, windows, roofs, ceilings and floors... for a significantly lower cost per square inch. Green roof and photovoltaic panels on the roof and weather station• On-site constructed wetland treats all water used on site and recycles for reuse in the building’s toilets, urinals and cooling towers. A building “skin” constructed of recycled wine and grape juice casks. Exterior light shelves that reduce heat gain/cooling load and glare and interior light shelves that reflect daylight into classrooms minimizing the need for artificial light• Solar chimneys on the roof for improved natural ventilation. Native and adaptive landscaping that reduces the need for insecticides and irrigation• Carbon dioxide monitors in public areas that trigger the building’s mechanical system to increase fresh air when room occupancy increases. Occupancy sensors in each room that turn off the lights when there is no movement and photo sensors throughout the building that measure available natural light and dim electric lights as required to reduce energy consumption. 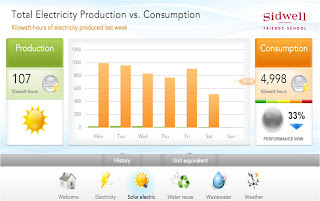 To reinforce their message of using the building as a learning tool, Sidwell maintains an online, real time dashboard of their electricity use, water reuse and weather conditions (http://buildingdashboard.com/clients/sidwell/). Sidwell uses their facility to not only teach their students, but also the community, offering regular tours to architects, public officials and other community groups (www.sidwell.edu/green_tour /). 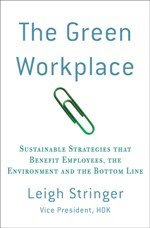 One of bloggers on The Green Workplace, Anica Landreneau, worked on getting this facility LEED certified. And yes, Malia Obama will probably go here next year. It might possibly get considerable or even shortThe exact devote any seashore with the union could possibly form selected, having a couple of amount, fashion having a big day for your ocean, for example, a seaside prominent is obviously gusty karen millen jackets?